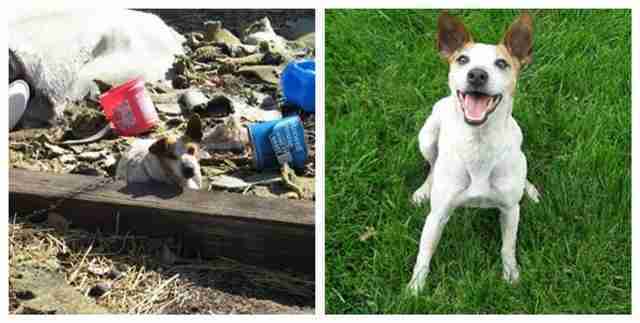 Keeping dogs chained up outside year-round isn't always illegal - but it is always cruel. Dogs deserve space to move around, and a warm place to go when the weather gets cold. Luckily there are awesome rescue organizations, like The Backyard Dog Project, that help teach dog owners how they should be caring for their four-legged family - and in some cases, the rescues help find new and better homes for dogs who deserve to be off the chain. 1. Remy was chained up for 11 years - when she was rescued her metal chain was almost fully embedded in her skin. 2. 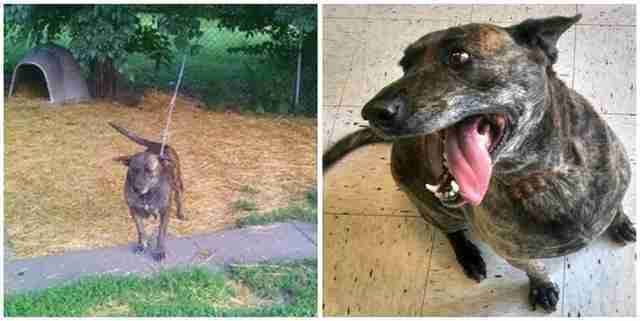 Ace was chained up for 15 years, his whole life, before being rescued. 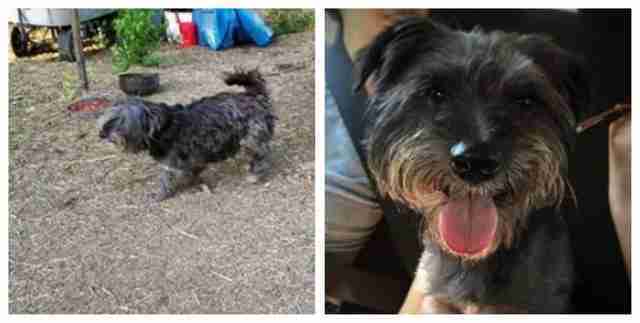 Earlier this month he went home with his new family. 3. 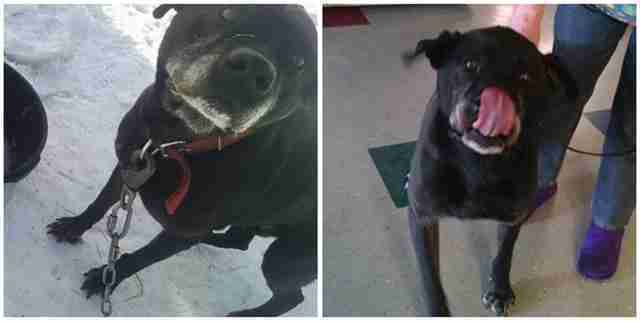 Jack was chained up in the cold for years before being rescued - now he lives with his forever family in Florida. 4. 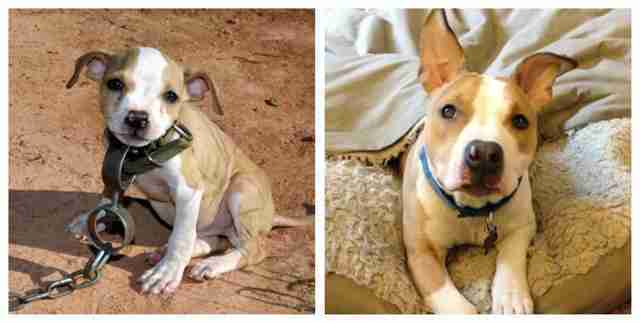 Sugar belonged to an owner who left her (and her puppies) outside year-round until a rescue group offered to get her fixed, and helped her family understand why she should be living indoors with them. 5. 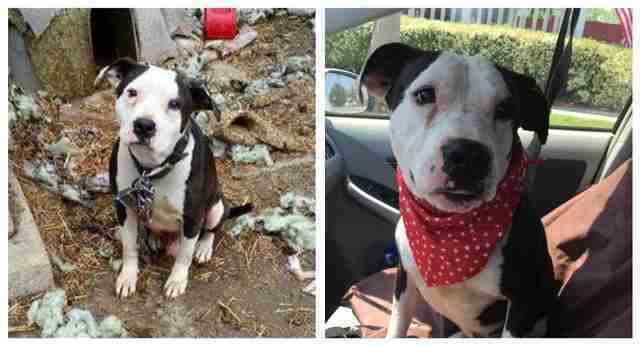 Romeo was chained up by his old owners until they finally agreed to surrender him to a rescue and he went to a happier home. 6. 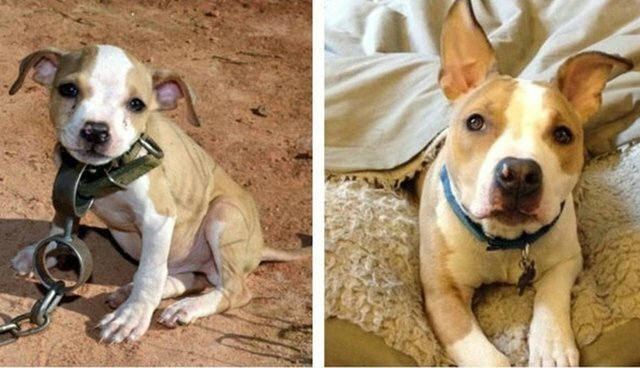 Timmy was chained up as a tiny puppy, but after being rescued during a dogfighting raid, he's got a new home and a happy life indoors. 7. 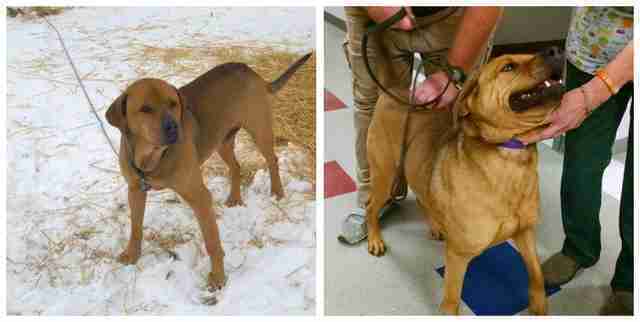 This handsome doggy, Chaos, was chained up by his owner until a rescue group stepped in to help get him indoors, fixed, and looking good after a day at the spa. 8. 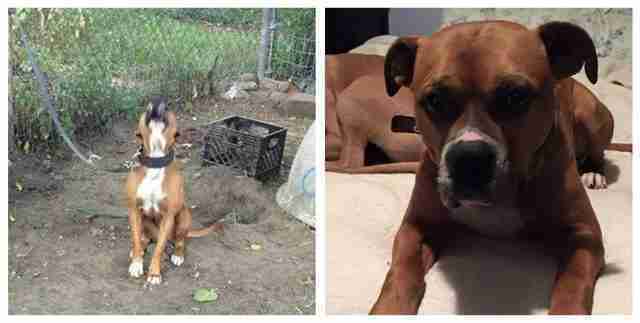 Chucho the boxer was surrendered by an owner who kept him leashed to a fence with barely enough room to move around. Now he's a happy indoor pet, and loves lounging on the bed. Visit their pages to find out how to help organizations like C.H.A.I.N.E.D. Inc. and The Backyard Dog Project.